We’re the clowns who dodge the dodgems. Santa even brings his sleigh. Ready to start our watches. We wear our high viz and wish we’d brought another layer. We dive and weave and watch our elbows. We are mums and dads, sons and daughters, locals and just visiting. Across the moor to Malsgate and on beneath the trees. We sprint. We wobble. We walk. We run. We breathe. We pant. We fight. We pound. We are fit. We are fat. We are over forty and feeling it. We carry fridges, push buggies, lead our hounds, give piggy backs. We come with doubts and fear, hopes and dreams. We click the button and pray the timer works. We sweat. We shake hands, slap shoulders. We try not to be sick. And say breathless thank yous. Our victory over those who stayed in bed. By 10am, it’s like we were never here at all. So there I was with a nice new training plan, full of long slow paced runs to build endurance. And then I got up from my chair in the office to walk across the floor and felt it in my left heel. That little nudge, nudge tightness that said plantar fasciitis.I tried to convince myself it was a spot of cramp, shrug it off. But massaging the base of my foot over a golf ball (still got one in my desk drawer), it was just the same tight and uncomfortable feeling as last time. Harumph! Not what I wanted.But I had the advantage this time. I knew what it was and even though it was the merest hint of painful, around a 1 on a scale of 1-10, I knew not to ignore it. Home and on the ice packs and as good a calf massage as I could give myself. I had to change my plan to pace 30 mins at parkrun last Saturday, volunteering for another role instead, opted for at least a week off running and booked a sports massage.But if I couldn’t run, I could still swim and cycle. I substituted parkrun for a swim and surprised myself at how easily I managed a good distance. On getting out of the pool, I had the brainwave of using one of the jacuzzis and treating my foot to a good massage with the water jets. It loosened up no end.By the time I had my sports massage on Tuesday evening, there was very little pain, and Frances spent a good 30 mins easing up my calf muscles. There’s some satifaction in being able to tell your therapist that it was your posterior tibialis that caused the problems last time, and her getting her fingers to work on the right spot. NThis Saturday I volunteered once again at parkrun. It was the 4th anniversary of the event and a record breaking turnout of 525 runners at Newcastle. I was handing out number tokens with the smiley blonde lady who encouraged me on my first parkruns, who I now know as my friend Tove. I’m afraid we rather struggled to keep the finish line clear as the crowds came through as it was a very packed finish area, but it was great to be part of it. By now I hadn’t run for 10 days, and there was no sign of discomfort from walking, so I kitted myself out for a test run. It was grey and drizzly, and the plan was to do a good warm up and drills, then run very easily for 4 mins and walk for 1 minute and repeat. So I made sure I had some good warm layers on and set out. When running I kept the pace very easy, focusing on keeping good form – light on my feet, shoulders relaxed, thinking about all stages of the run. Of course, I felt like I wanted to keep on running, but the deal was to break it up with short walks and I did. These were useful as they helped me reset and remind myself to focus on form over speed or distance. I could just feel it starting to break down on the last repetition, so had a good easy warm down, stretched and hoped I wouldn’t have aggravated my niggle further. I’ve rarely enjoyed a damp, wet and cold run so much. Today, all is well. No further pain, so I’ll build back into my running this week provided I have no more problems with my foot. But with a 25k indoor bike session and a 600m swim in the bag today after a decent week’s training, I reckon I’d be okay to get round a sprint tri if you told me there was one next weekend, so that’s not a bad place to be early on in the year. No snow at parkrun this Saturday, but it was bitingly cold on the town moor, so I jogged off across the grass to warm up. The town moor claimed my left trainer. And less than a second afterwards made sure that sock could never be described as white again. ‘Now what? Wet muddy sock inside the wet muddy shoe? Or sockless on my left side?’ The muddy accessory was turned inside out and dumped with my fleece by the fence as I tested out my new barefoot trainer. I was very glad I hadn’t worn my brand new shoes. Not quite the start I imagined for my first time out in my 50th parkrun shirt, but we were soon off and I was on a mission to chase down a fast run. I pelted off, too fast at first in truth, into the wind and towards Gate 1. The turn along Grandstand Road, sheltered by the trees and showered by the warming sunshine saw me swipe off my hat and enjoy my favourite part of this route. I recently watched a video on barefoot running and one of the bits of advice that stuck in my head was a subtle thinking about lifting the hips. So I gave it a try, and felt like I really covered the ground more quickly, overtaking a couple of runners. I kept turning on the power, then easing it off, conscious of keeping my feet light and hoping my sockless state wouldn’t mean blisters. But shortly after 2k and the return to the moor paths, I got a stitch high up in my ribs. I hardly ever get a stitch, so I reflected on a tough week of training, eased back a little and concentrated on my breathing. I managed to shift it, but I knew I’d lost some pace going into the tricky 3rd kilometre. Back into the wind over the roughest part of the course and it was tough going, so it was a relief to turn back onto the smooth tarmaced path and know there was just 1km to go. I kept thinking lift the hips and used the lamp posts as markers, picking a spot to power on to. There were a couple of girls close by me who had overtaken me and I managed to catch and pass them. Into the final corner and one of them was close by again, but I knew I still had the push and I powered down the last few metres, overtaking another couple of runners to cross the line in just over 27 minutes. I was hoping for something closer to 26, but can’t really complain after a fantastic week’s training. The tri day on Tuesday really kicked things off and I’ve enjoyed every session this week. On Thursday, I trained with Ian on the beach as usual and it was a tough session, but so nice to finish in daylight, with the sun peeking over the rocks. At the other end of the day, I hit the pool for my second swim of the week. I don’t normally double train on a PT day, but I hoped the swim would help me avoid aching muscles and it meant I could have a complete rest day on Friday. I fell into bed on Thursday night, with the satisfying tiredness of a great set of training. On Friday morning, I got into work early to do a practice gym session with Simon, one of the instructors from the work gym. It’s the first time I’ve tried my instructor mode, and it gave me loads of confidence ahead of my final assessment in a couple of weeks’ time. Still loads to think about and make sure I cover on the day, so I hope to get a few more practice sessions under my belt. But it’s fantastic to have such great support. On Sunday, I explored a new route on my bike. It felt fantastic to be out, just enjoying a fairly easy effort, but out for a fairly long ride and finishing off with a rather steep hill. Next time I’ll ride it in reverse! On Saturday 26 January, I ran my 50th parkrun. It’s taken me a while to reach that particular milestone as I only started running the free 5k timed runs in September 2009 and I haven’t particularly made a big deal about notching them up. But they have become a very welcome part of my weekend, giving me a chance to run or volunteer, catch up with friends I’ve made through parkrun or just see someone else enjoying the experience. 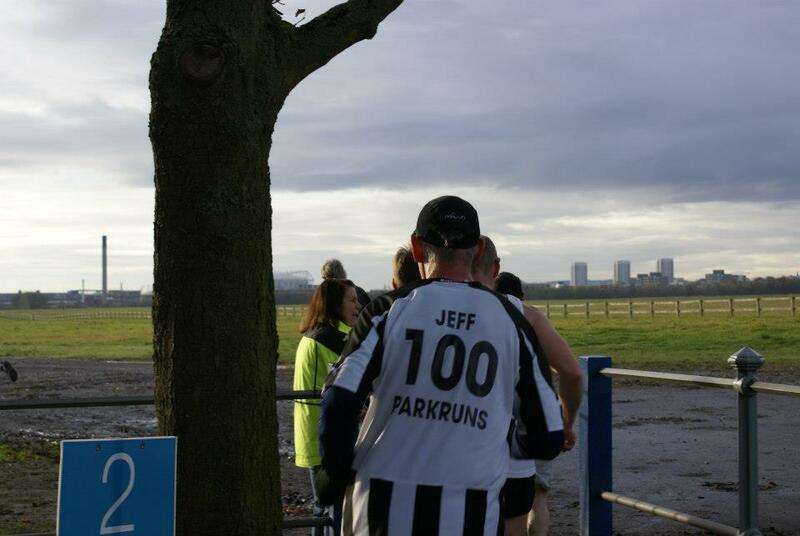 Me and Jeff at my 50th parkrun at Whitley Bay – thanks to Mick Durnion for the picture. 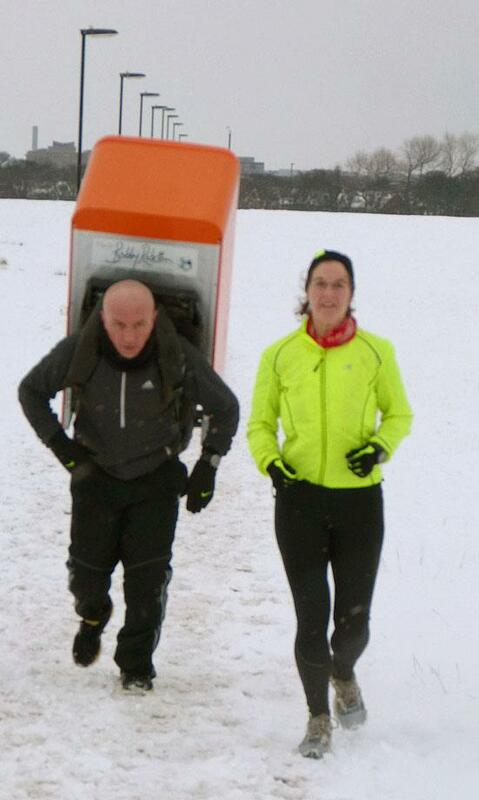 I was sorry I couldn’t run my 50th at my home run on Newcastle’s Town Moor, but with snow, ice and flooded footpaths, the race director had no other option than to call it off. Doing so on Friday night meant that those of us who wanted to run could look to other venues, and with only a small dusting of snow, my nearest parkrun at Whitley Bay was declared on. As I made my way to the start, I spotted a Newcastle regular on his warm up run and spotted a familiar gathering of Toon run regulars, including Malcolm, Jeff, Fred, Eric and Mick who took a commemorative photo. So I felt in good company for a landmark run. With a covering of snow being churned to slush beneath the pounding of multiple pairs of trainers and trail shoes, it was never going to be a fast run. I just focused on keeping my form as best I could and enjoying the contrast of the white ground and the clear blue skies, full of sunshine that would soon make the snow a memory. I gave a good shout to runners I knew as I saw them come along the finish straight as I headed out to the second lap and managed a thank you to all the marshals standing around in the chill. There was even a Scribbler sprint finish, which was a fine way to mark my 50th. Like many parts of the UK, we had a decent snowfall last night, leaving the roads and pathways covered in, as they say around these parts, ‘propa sner’. But while this meant a couple of local parkruns had to cancel, the blanket of white stuff on the Town Moor was arguably safer than wet and icy paths and Newcastle parkrun was declared on. So, off I went. Wrapped up fit for an arctic expedition, unsure whether to run or to marshall, but prepared for both. I wasn’t there for the very first event, but three years ago, the very first Newcastle parkrun took place in very similar conditions. A select few runners and a hardy bunch of volunteers turned out in the snow to ensure the free 5k timed run went ahead. 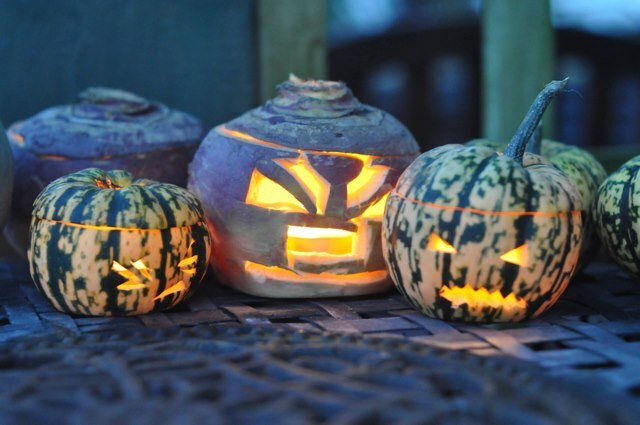 It’s grown in support hugely since then and lately has had record attendances of over 400 runners. All parkruns have their own individual character. Some are hilly, some are muddy, some are multi-laps, some just the one. Newcastle has the reputation of being a ‘fast’ course as it’s largely flat. But conditions on the Town Moor can be testing, and it can be more like a cross country run at times. The wind can seem to change direction as you run, and the exposed nature of the course, can leave hands and toes tingling with cold – and that’s just the runners, never mind the volunteers who stand out in all weathers, directing turns or holding gates. Oh and we must be the only parkrun that has to issue regular cow warnings in the summer months. Today was a special event to mark the 3rd anniversary of this run. And there’s a nice tradition, started by its original founder Niyc Pidgeon, of celebrating Newcastle parkruns anniversary with a bit of a get together and award presentation afterwards. 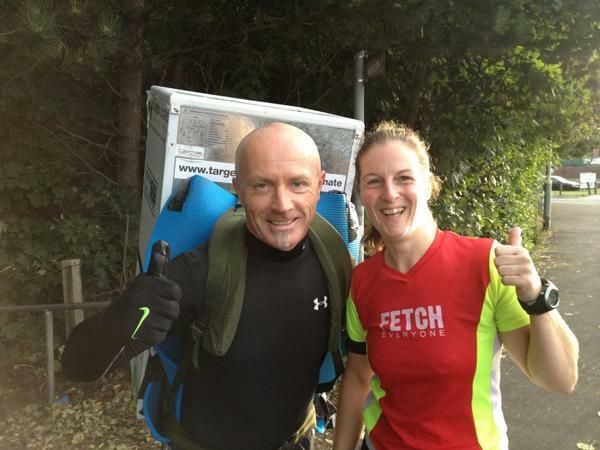 The special guest presenter was inspirational North East runner and passionate fundraiser for the Sir Bobby Robson Foundation, Tony Phoenix Morrison, better known as Tony the Fridge, who this year completed the route of the Great North Run 30 times, whilst carrying a 40kg fridge on his back. Now, I know Tony a bit, in that I’ve had the privilege and pleasure of running a few miles with him during his incredible challenge. So when I started running, I said hello and we fell into step for a while. I hadn’t intended to go out and race hard given the conditions today, but finding he didn’t have anyone running with him today, I thought, why not stick with him. Because it is always a pleasure running with Tony. He’s not what you might expect and he always makes me think as we chat. He’s easy to listen to and talk to. And today, running over the fresh snow under the beautiful bleak skies of the moor, it just felt effortless ( but I wasn’t carrying an extra 40-odd kilos of metal on my back). Afterwards at the awards presentation, he shared his story with fellow parkrunners who had gathered in the warmth of the Royal Grammar School to enjoy tea, coffee and cake and celebrate some of the achievements of parkrunners. The awards are very much in the spirit of parkrun and not only celebrate the consistently fast and impressive performances of the speedier runners, but also give a chance for the volunteers and others to have their moment in the spotlight. Amongst the awards I was really pleased to hear my mate Jeff’s name, after he’s run every Newcastle parkrun this year and put in some impressive times too. And there was a big cheer for Eric Appleby, our 80-year-old runner who still turns out and inspires everyone to be the best they can be. It was nice too, that Paul Davison was recognised for always being among the first to thank the volunteers that make it possible for this free run to go ahead. Parkrun really is inclusive. From the fastest to the slowest, old to young, from babies in buggies to teenagers, dads, dogs, and grandads, everyone’s welcome. Running or volunteering both have their own rewards, from chasing a new best time, to simply getting a smile on a grey day. So if you’re thinking of taking up running, just starting out, or even if you’ve been doing the mileage for years, check it out. I got a couple of very welcome compliments today. My ultra tough, speedy, never-give-up, running pal Rob said, “Your blogs are always worth reading.” Although he did also admit that if we’ve had a chat, he likes to see if he gets a name check – so there you go Rob 🙂 But it was nice to hear, and it came just at the right moment, so thank you my friend. 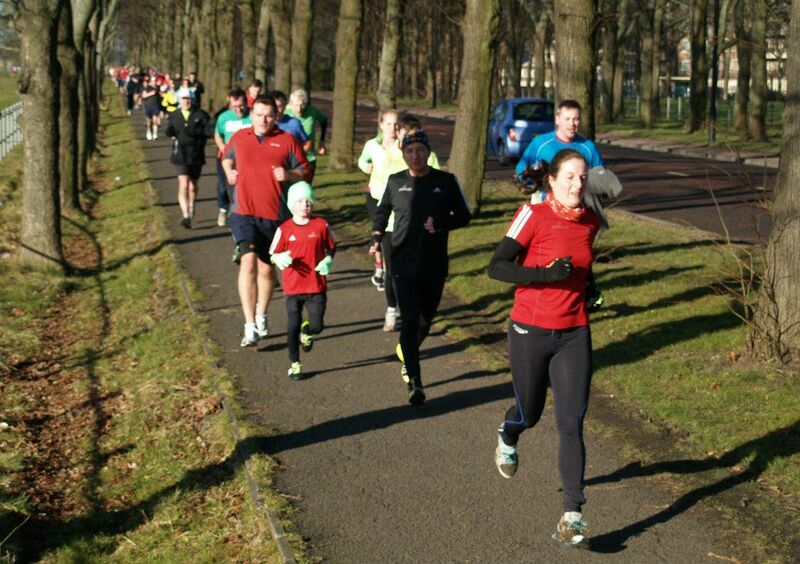 With a cold snap in the air, there were understandable doubts about parkrun being safe to run on 1 December. 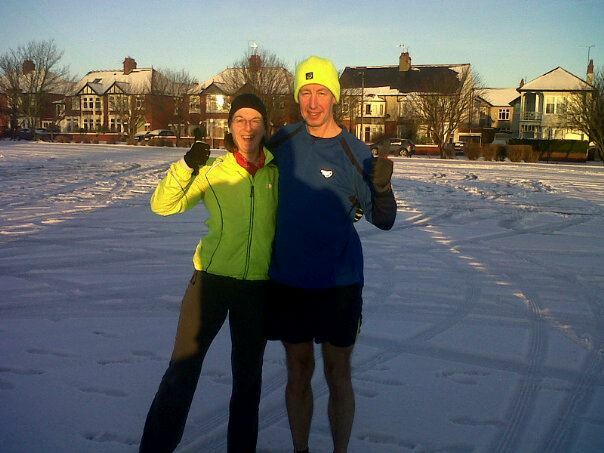 Indeed, a number of north east runs had to cancel due to icy paths, but Newcastle was still on. The race director reported the run to be marginal, but made the decision to keep it on, with the extra help of the marshalls who did double duty directing runners away from the iciest sections and over onto the soggy grass, then came back to the finish to take numbers and scan tokens. It was bitingly cold on the moor, and the volunteers were in for a cold job. I went to do my usual warm up in all my layers, including my Fetch hoodie and had a quick chat with a runner visiting from Edinburgh and staying nearby. And then it was time to line up at the start. Some quick steps over the grass and negotiating the turns and icy sections kept the pace steady through the first kilometre, but I was able to pick it up again through the gate and out along the road. I felt good and strong when my footing was sure, even over the rough path back onto the moor, where the low sun provided another challenge, making it hard to see the icy ground. The new running style has definitely started to stick. The only times it dropped during this run were when I had to divert over the grass and I found myself plodging or when I was skipping over the ice, uncertain of my footing. I was out on my own between 3-4kms and felt my pace drop over this tricky section. But once back on the path, I gave it a good kick in the last km and tried to keep the pace up even over the grass. The final sprint to the finish line was painful and I needed a few minutes once over the line to stop the spinning feeling in my head. But I was pleased with my time which was only 7 seconds slower than last week. Without the ice, I feel it would have been faster. So when this Saturday dawned ice cold again and ice threatened to make the Town Moor course a cross country fest, I opted for parkrun at Whitley Bay. It’s a long time since I ran this course, and in fact, they’ve changed the finish, so I hadn’t run this version before. I warmed up as usual and found myself a spot, ready to give it a good run. Not knowing the field, I very much ran to feel, finding my own pace and enjoying the steady footing of the tarmac paths and the drop down onto the promenade. Not too windy or too cold, I was on a mission to improve my run time after an encouraging chat with my PT. I’m enjoying my new running style and feel like it’s working, so I wanted to prove that and I’m using parkrun as my push it session in the week. I made the mistake of glancing at my Garmin after 1k and noticed the pace was hot for me. In truth I was feeling it a little in my breathing and trying to relax into the run. The next part of the route has a couple of sharp inclines, that weren’t as long or as steep as I remembered, but I cut my stride and eased up them and onwards. I was on my own for much of the run, with few targets to chase, but after the initial surge I tried to cling on to anyone that overtook me and I managed to outpace a couple of guys just by keeping my rhythm and reeling them in. Back round past the starting point, I knew there was less than a lap to go and started mentally calculating the time left to run to distract me from the effort. 10 minutes of bright winter sunshine and clear skies, then less than six and keep pushing, keep the head, keep the desire. It was tough, but I knew there wasn’t much further to go, even though my head hadn’t quite got the measure of the new course. Once more over the little bridge and up the incline, then back round along the road and onto the cliff top path down to the promenade for the finishing stretch. A male runner in a blue top had run beside me for a while and I’d stuck with him, pushing my pace, but here he showed his form and stretched ahead. I knew I still had a kick, but it’s a short and fast one, so I picked my spot to really pick it up, all the time willing my legs into a faster turnover. Just after the Rendezvous I hammered it down, less than 100m to the finish. Not only is that the best part of a minute faster, it’s my best time of the year so far, beating the 27:02 I ran in August. So, I think I can safely say that I’m seeing improvements from my new running style.